Still says Aquilla under their name. Well, official cards have done worse (Templars). Assuming it's Ullar, which we really don't need a new card for, and he has said that it is, I keep my . IMO, Ullar need some nice elven support. What happened to the Templars card? Yeah, Rogues. Sorry about that. to reveiw the new version of Caldar Woodsmen. Sorry, I have another error that I meant to change. 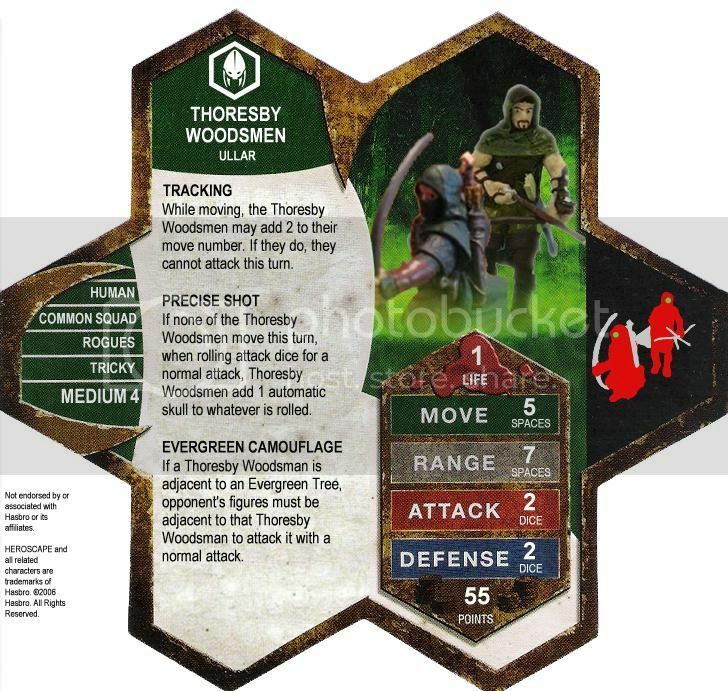 The name should be Thoresby Woodsmen instead of Caldar Woodsmen. I like how the general name got corrected but the general symbol got changed. Will this card stay the same for longer than a day? Well, I think we all know what it's supposed to say. Ullar, rogues, Thoresby, etc. Card by DanielLoche (Sorry, no good figure picture.) When mine arrives then I'll try to get a good picture. 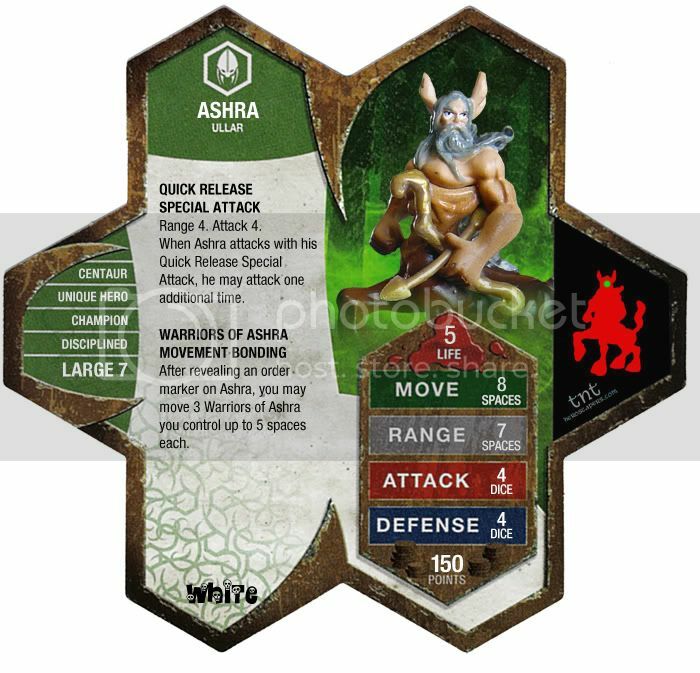 It is heavily based on whitestuff's custom Ashra. whitestuff said I could do whatever, so here we go. He's a Tried and True Custom so he has some testing done already. I changed him to a Satyr due to lack of Centaur Archer minis. His move was reduced accordingly. Changed the left box a bit to fit better, and name changed because Ashra is not canonical in my mind. He tested decently (but not great) in the few games I played with him so I bumped him 5 points too. I think he helps the Warriors of Ashra and uses their power well as a screen. It's not overpowered but pretty fun. His name is an anagram if anyone wants to figure out what it is. Availability: It's the D&D Satyr from the Underdark set. I found 80 with minimal searching. Last edited by greygnarl; April 27th, 2013 at 10:36 PM.